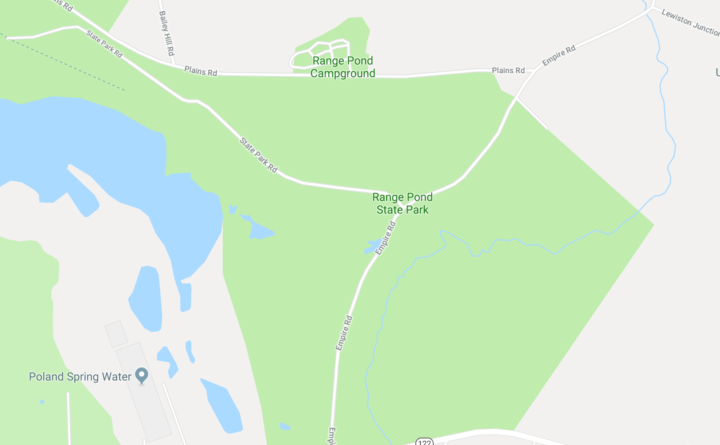 A middle-school student from Lewiston drowned Tuesday while swimming in Range Pond during a school trip to the Poland state park, according to the Androscoggin County Sheriff’s Office. A Lewiston middle school student drowned Tuesday while swimming in Range Pond during a school trip to the Poland state park, police and school officials said. The 13-year-old boy, who attended seventh grade at Lewiston Middle School, had been playing football with friends in a roped-off area of the pond when he went under water, said Chief Deputy William Gagne, of the Androscoggin County Sheriff’s Office. His friends immediately alerted the on-duty state park lifeguard and a group of school chaperones who were onshore, Lewiston Superintendent Bill Webster said. They plunged into the pond in search of the boy, but weren’t able to find him beneath the surface of the murky pond water, he said. As they searched, someone called 911, and rescue crews from numerous surrounding towns to headed to the park. At 12:17 p.m., firefighters found the unconscious seventh-grader and tried to resuscitate him onshore, according to Gagne. He was then rushed to Central Maine Medical Center in Lewiston, where he was pronounced dead, he said. The student was one of 133 classmates who turned in a signed permission slip to attend the field trip, one of several planned to celebrate the end of the school year, Webster said. Eleven chaperones were at the park supervising the students as they played onshore and in the water, in addition the park’s single lifeguard, he said. Gagne said the Maine Warden Service, Poland fire and rescue, Greene firefighters and Auburn firefighters aboard their department’s rescue boat assisted sheriff’s deputies in the rescue mission. The rope-and-buoyed area where they searched isn’t far from the shore, but was apparently deeper than the height of the student who drowned, Webster said. This marks the third student death in the district this year, Webster said. Staff and community counselors were again at the school Tuesday to support students and staff and are expected to remain there until the end of the school year this month, he said.